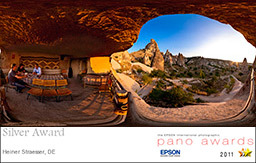 On the following pages you will find more than 300 interactive panoramas. A large proportion of them are spherical panoramas, the perfect way to represent a room. The viewer is in the center and moves the space around him. 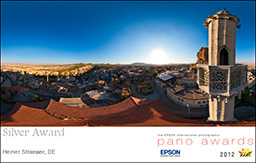 There are also 360-degree panoramas and classical panoramic images with resolutions down to gigapixels. With a panoramic image on your website, you achieve a significantly longer page viewing time. This gives you the ability to attract your customers' emotions. A crucial role is played by the quality of the panorama. Present yourself professionally, and your customer will be convinced of your product. 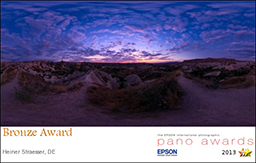 The project examples show a variety of different areas in which I successfully used panoramic images. Among the "Specials" you'll find a variety of unusual panoramic formats and a few specific images. 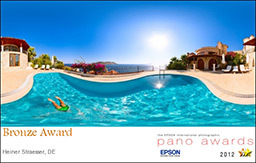 To request a panoramic image, simply send me an email. There are only a few people who find the way to Tatların, and the entrance to the cave church with frescoes in local style from 1215 is locked by an iron door. This explains why the old wall paintings survived the stupid name carving vandalism.